Rudra is suffering from biliary cirrhosis secondary to PFIC 2. 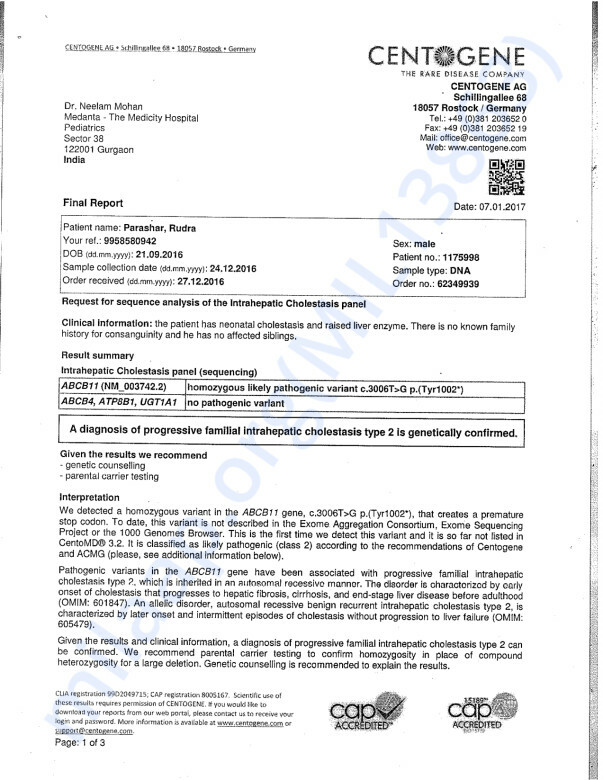 PFIC 2 a rare genetic disorder (report attached). He is deeply jaundiced and irritable secondary to itching. His abdomen is distended due to large liver and ascites (fluid in tommy). Rudra has otherwise been a playful child. He underwent a surgery 2 months ago but unfortunately that did not cure his condition and now has to undergo a liver transplant as the last chance of survival. As you can imagine this has been very stressful for Sandeep and his wife Devyani (who is the first choice as the liver donor). They have had their hands full with medical test, doctors, blood donors etc. The total cost of the transplant exceeds Rs. 20 Lacs, and this does not include the cost of the surgery that was performed earlier and post-surgery expenses. 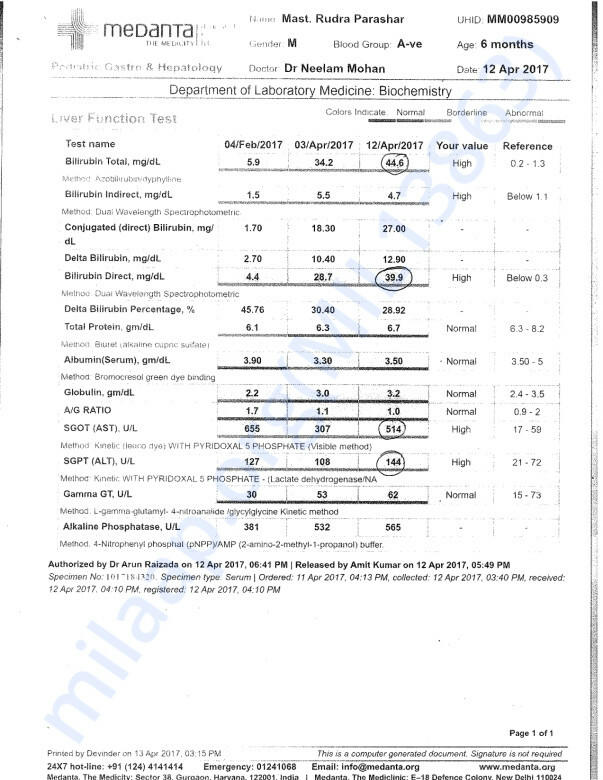 He is being seen/treated by Dr. Neelam Mohan of Medanta Medicity Gurgaon, a leading Pediatric Hepatologist of the country (www.drneelammohan.com). He has been advised liver transplant to save his life. Rudra is the first and only child of Sandeep and Devyani. Sandeep is a qualified engineer, working in a provide company in Thane and Devyani is a qualified engineer too. The young parents are finding it difficult to raise money for live transplantation, despite the company insured medical treatments. The money donated will be used to pay for medical expenses. 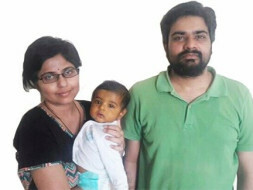 Please keep Sandeep and Devyani and their little one in your thoughts and prayers and thank you for your support. Once again, we request you to pitch in and assist one of our own in his moment of crisis – which is what being a family is all about. Let’s make it count for Sandeep. Your thoughts, prayers and generous donations are sincerely appreciated. If you could read this, then least that we can expect is to share this on Facebook and other social media, so it reaches maximum number of people. We have only 3-5 days to save Rudra`s life. Thanks to all for your dear contributions. We have received a quick update from the family. "Both Mom and son have been discharged from the hospital. However, are under medication with regular checkups/tests to be done to monitor their progress." Once again thanks to all for dear contributions. Here is a quick update on Rudra's health. Baby Rudra’s surgery was successful! It was an 18 hour long surgery and he is currently being closely monitored by doctors until this weekend. Rudra’s mother, who was the donor, has been moved from the ICU to the general ward and should get discharged by this Sunday. 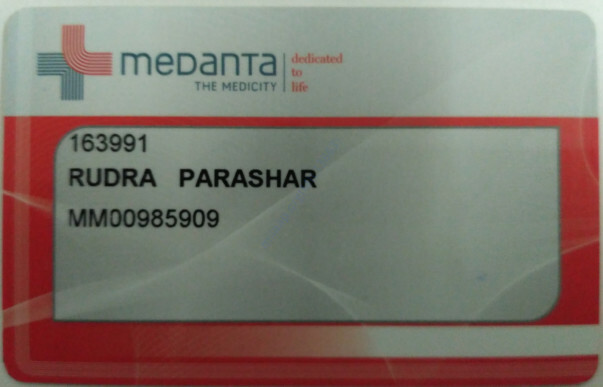 Post this weekend, doctors can safely declare if the donor liver is accepted or not, then Rudra will be kept in the general ward for about 20 days more. Thank you for the response and contributions !!! Though, Rudra was supposed to undergo the transplant last week, due to his weaker immunity and fever doctors had to postpone for some days. 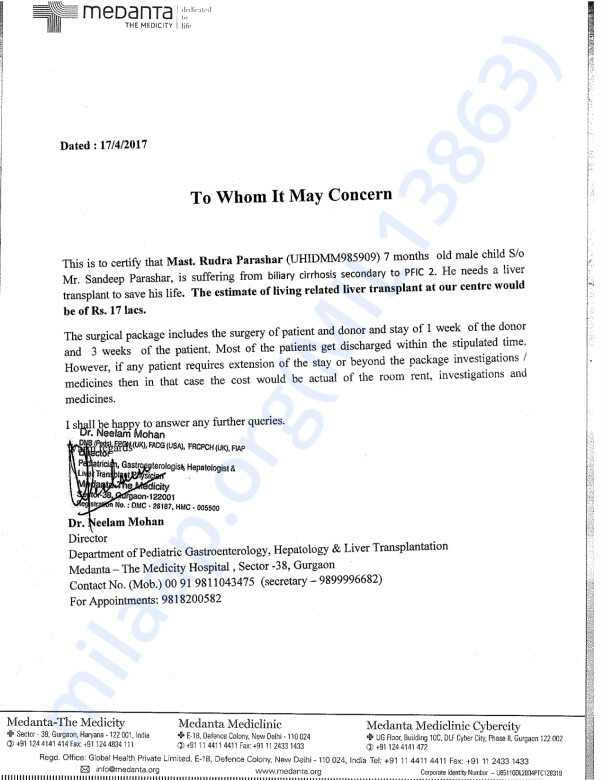 Today (4th May), he is again scheduled for the transplant. The surgery is a 6 hour long procedure. Would update as soon as we hear it from Sandeep. Thank you very much again, because of you all, ~17 lacs were raised in almost a week`s time. Surreal! Rudra will definitely fight it strong...God bless Rudra ! !